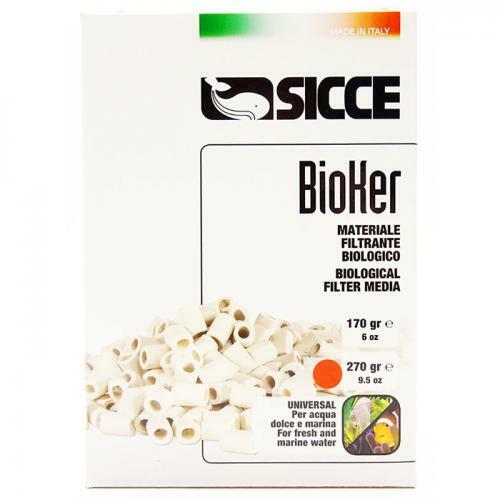 Brief Description: BioKer is comprised of a very fine grained ceramic material which offers a large surface area to develop the beneficial bacteria responsible for biological filtration (Nitrosomas and Nitrobacter). BioKer’s micropores offer a self-cleaning effect, while making the external surface appear smooth. The beneficial bacteria that BioKer develops help to keep aquarium water clean and crystal clear, increasing the health of the inhabitants. Ideal for all internal and external filters. 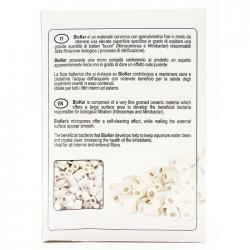 Notify me when "Sicce Bioker Ceramic Biological Media [270 g]" is re-stocked. 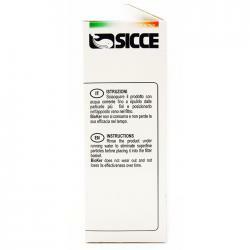 Recommended for use with SICCE aquarium filters as well as filters from other manufacturers.